I'm Ali, and that handsome Labrador on the right is Humphrey. I am a passionate dog owner and fully accredited dog handler. I am a member of APDW, DBS checked & fully insured, as well as being trained in Basic Dog First Aid. I also hold a canine behavioural qualification at the Centre of Excellence. 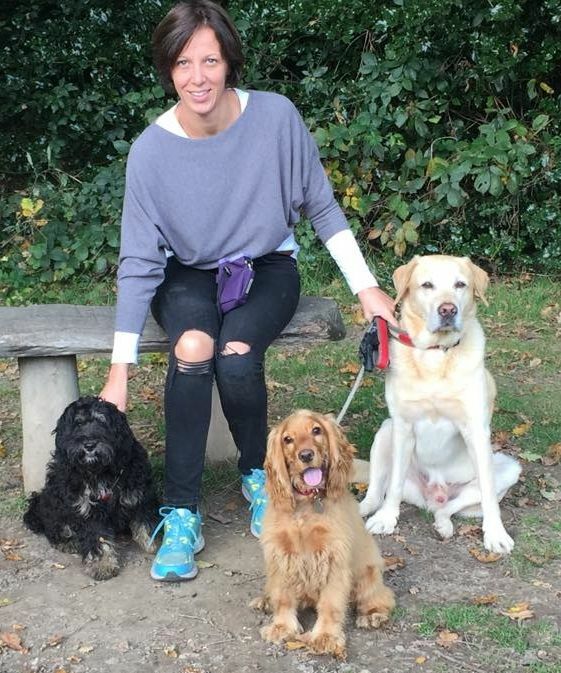 I have set up a small, personal dog care business in my home; a detached house in the beautiful Surrey village of Claygate opposite extensive woodland and fields. The garden is large and secure, perfect for your pets to feel comfortable and at ease. I offer a variety of services based on individual need. Scroll down to see some of my services. I offer a day care service where your dog can be dropped here any time from 7-7pm. Alternatively I can collect your pooch from home at an agreed time. I am fully insured to taxi your pet and have keys to your property. 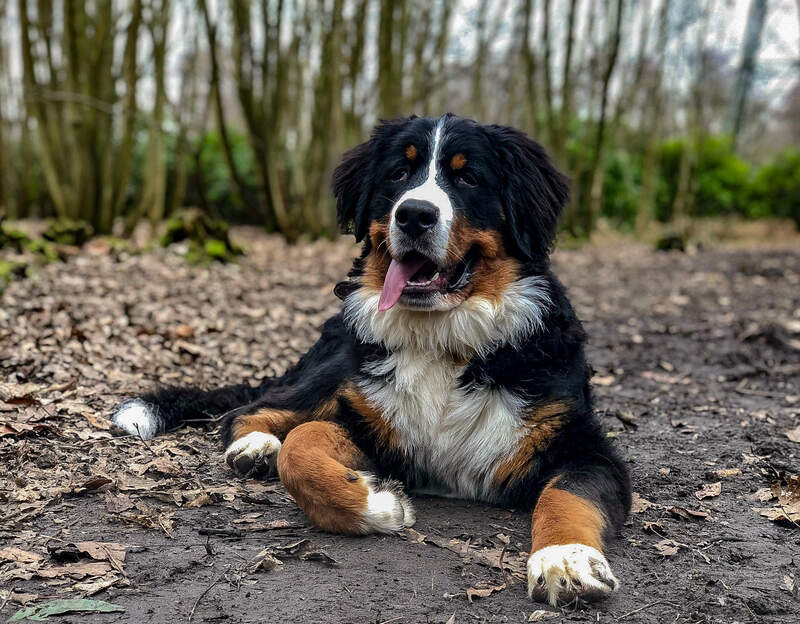 An exciting variety of activities are arranged to keep your pet amused, including long walks, water play and agility training. Humphrey loves sleep overs! I make sure to limit him to two external guests at any one time, all staying in the family home. The woods opposite my house are perfect for long walks, either on or off lead. 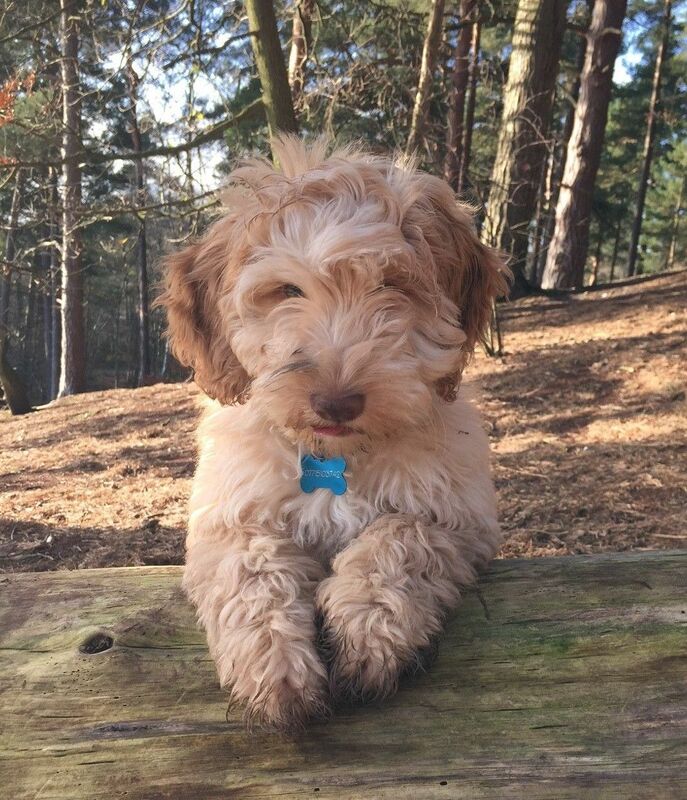 Humphrey loves showing off his favourite walking spots! Alongside my teachers pet, I offer 1 to 1 training or small groups, covering all basic aspects on how to socialise with your dog. I also help with bonding and control to maximise the enjoyment of your pet.